Leith has been a port for over one thousand years. It has always been the main port for the City of Edinburgh. Steam trawling from Leith began back in the late 1870's. Most steam trawler owners lived in the nearby fishing village of Newhaven. Sail boat fishing was carried out at Newhaven, less than a mile to the west where the fish market was situated. Trawlers could land in Newhaven's eastern harbour directly to the fish market right up until the war. 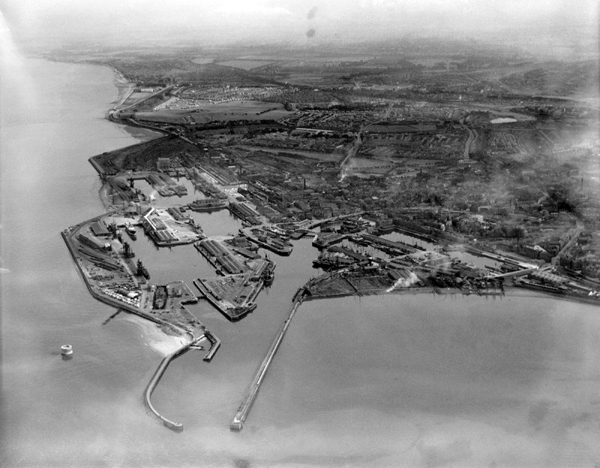 The building of the Leith West breakwater commenced in 1935 and was completed in 1942. During both World Wars trawlers from Leith were requisitioned by the Admiralty. As at Granton these vessels were stripped of their fishing gear and converted to minesweepers and patrol vessels. The North Sea was to be closed to fishing during the Second World War. The remainder of the Leith fleet were transferred to the West Coast working out of ports such as Oban, Ardrossan and Ayr. 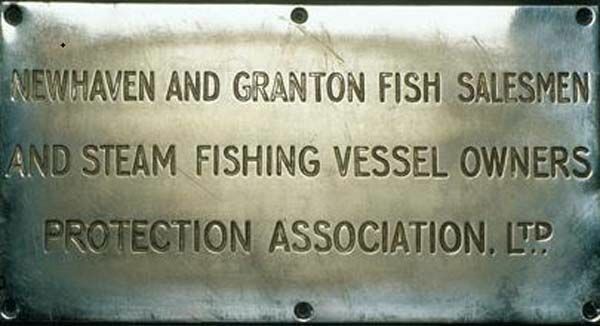 The Leith trawlers fished the same grounds and did similar trips to those at Granton. Rules, regulations and pay schemes followed the same format. The steam trawlers at Leith usually berthed at the West Pier, bunker coal was loaded direct from rail wagons via a chute, at a later date they had to enter the dock system and berthed in Albert or Edinburgh docks. Here they still continued to use wagons, not the coal hoists, coal heavers and trimmers were employed to load the coal on board. This entailed using the restrictive lock gate system. These vessels would then have to be moved into the Albert basin fairway (The most favoured berth for trawlers in Leith) ready to go on a Sailing day. This was obviously expensive in time and labour. Steam trawlers continued to operate from Leith until the early 1950's. With the introduction of diesel powered trawlers and having a more efficient coaling berth and its own ice factory, the remaining trawlers transferred to Granton. Christian Salvesen operated a large whaling fleet out of Leith . In 1907 they opened a whaling station on South Georgia in the Antarctic, appropriately named Leith Harbour. By 1911 this was the largest whaling company in the world. The company withdrew from whaling in 1963. These were built and designed for Christian Salvesen using the knowledge gained from the "FAIRFREE" Experiment "
The Fairtry's revolutionised the trawling industry, mechanically hauling the net up a ramp as opposed to hauling it by hand on the older side trawlers. Because of their size these vessels landed mostly at Grimsby/Immingham.